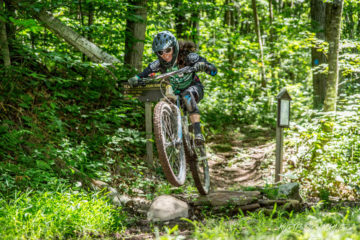 The Blue Ridge boasts dozens of towns with vibrant outdoor scenes and access to world-class adventure. This fall, over 100,000 readers voted for their 48 favorites. 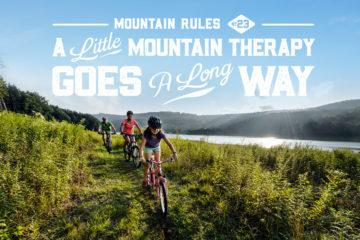 They are mountain biking meccas, whitewater oases, climbing paradises, and hiking nirvanas. BRO visited the top three winning towns to uncover outdoor secrets and insider insights from leading locals. 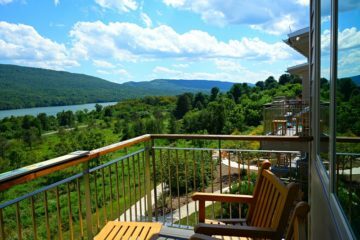 We also highlight the best places to eat, play, and stay for all 48 towns in our contest. 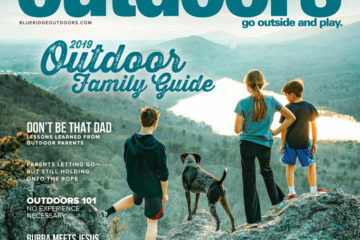 “I had the opportunity to move away into other markets and invest in other communities, but I wanted to come back to the town I grew up in,” says Franklin native and Outdoor 76 co-founder Cory McCall. Even Gasbarro and McCall had their doubts. But just five years after opening its doors, Outdoor 76 has now become one of many new businesses that occupy Main Street. 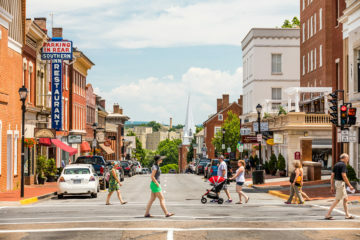 Visitors to Franklin can walk downtown past storefronts of all varieties, from antique shops to gourmet restaurants, art galleries, coffee shops. The town even boasts its own yoga studio (Beyond Bending Yoga) and brewery (Lazy Hiker Brewery Company). “We’ve believed all along that Franklin has always been a top outdoor town,” says Gasbarro. Yet for the longest time, Franklin earned its revenue not by promoting the 500,000 acres of national forest that comprise Macon County (that’s 50 percent of the county), but by advertising the region’s gem mining. 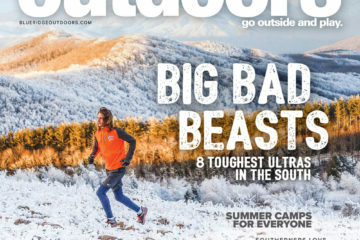 Though the town has since made waves in embracing outdoor recreation as both an identity and economic driver, even the town’s newly designed logo, which features a hiker posing beside the Appalachian Trail’s white blaze, hints at Franklin’s past as the Gem Capital of the World (look closely at the dotted ‘i’ in ‘Franklin’). 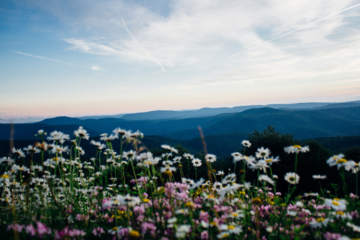 McIntee, who grew up in the Southeast, says he knew that western North Carolina had mountains, but he was surprised by the stunning scenery that surrounded this relatively unknown town. 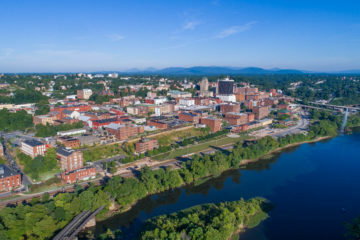 Situated close to the southern border of North Carolina, Franklin is just a two-hour drive from a number of southern hotbeds like Atlanta, Greenville, and Knoxville, making it an ideal basecamp for adventure in southern Appalachia. 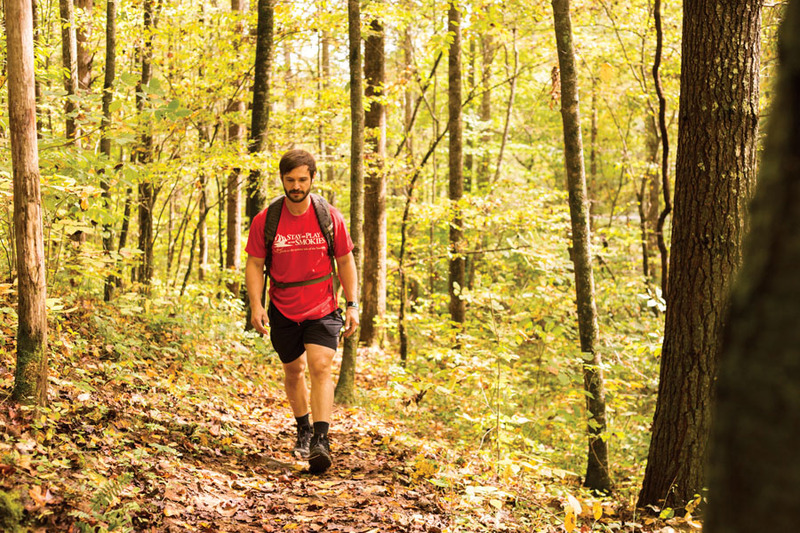 What’s more, Macon County is home to 19 peaks over 5,000 feet in elevation and two long-distance trails, the Appalachian Trail and Bartram Trail, the latter of which passes right through town. 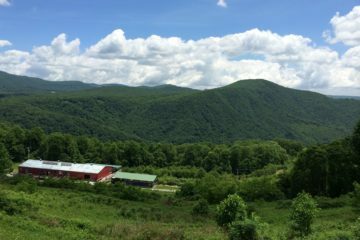 Though Franklin sits just 111 miles north of Springer Mountain, making it an ideal place to resupply before the Nantahala Outdoor Center, its designation as an Appalachian Trail Community in 2008 increased thru-hiker traffic exponentially. Given hikers have to catch an 11-mile hitch into town, that should say something about the community’s hiker-friendly vibe. Free WiFi, hiker maps, laundry services. Hikers suffering from feet woes can even get a shoe fitting and a beer at McCall and Gasbarro’s outfitter-taproom. As far as southern hospitality goes, it doesn’t get more welcoming than that. “Being able to have those relationships, Franklin runs on that,” Gasbarro says. 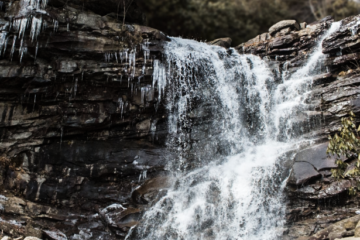 Though Macon County has one of the highest rainfall zones in the eastern United States, the county’s four distinct seasons are typically mild, and even in the wintertime, the lower elevations receive very little snow, making outdoor recreation enjoyable year round. We recommend spring and fall. 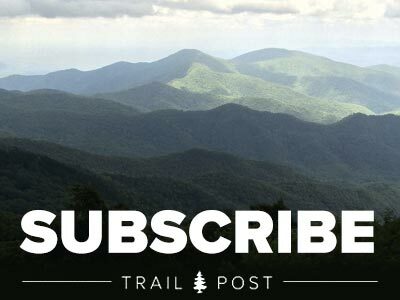 HIKE: Park across the road from the Winding Stair Gap access point to the Appalachian Trail and hike 4.2 moderately strenuous miles along the white blaze to the summit of Siler Bald. For an easy overnighter, set up camp at the shelter just before the summit. The bald is the perfect place to catch near-360-degree views of the surrounding Nantahala Mountains. FISH: Cross the Little Tennessee River by way of the Iotla Bridge. Take the immediate right onto Sanderstown Road and park in the gravel pull-off on the right. 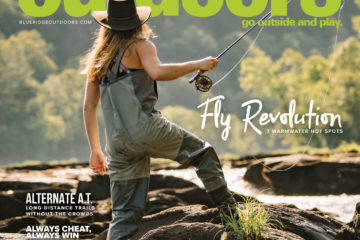 The Little Tennessee is home to some of the best smallmouth bass fishing in the world. Rent a canoe from Outdoor 76 and float the river or wade in from the shore. BIKE: Rent a bike from Smoky Mountain Bicycles ($7.50/hour, $36/day) and cruise the Little Tennessee River Greenway. The country roads surrounding Franklin also make for some of the best rural road riding in the region. 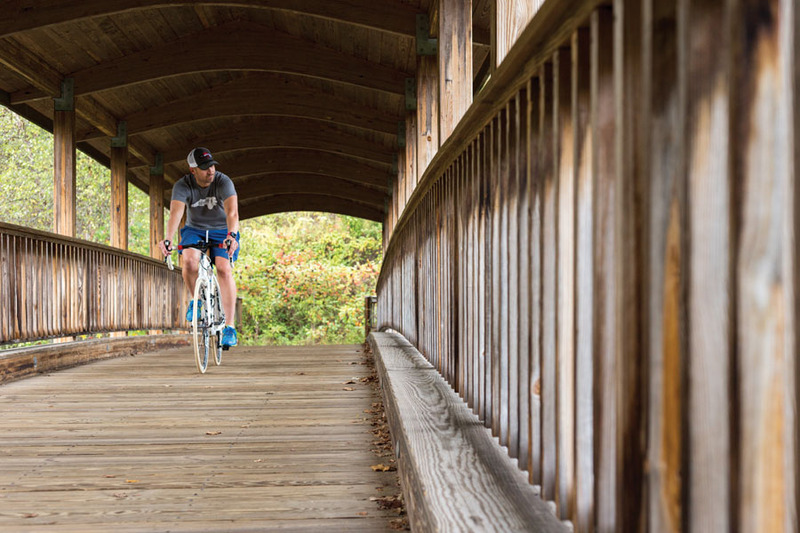 The bike shop can provide a map with over a dozen routes ranging from 15 miles to 100 miles of smooth, low-traffic, country roads that never leave Macon County. In town on a Wednesday during the summer? Join the shop’s weekly group ride to get the ultimate tour de Franklin.